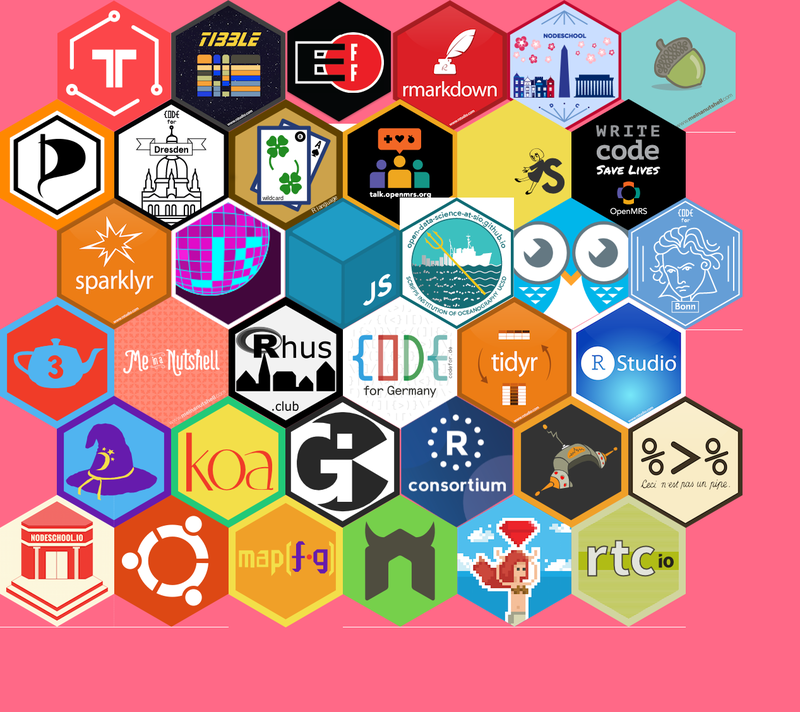 Hex stickers remind me of Pogs, except they’re cooler because you can combine them together! Some people do that very smartly. And well if more R packages are added to it my Rvision dream could come true. 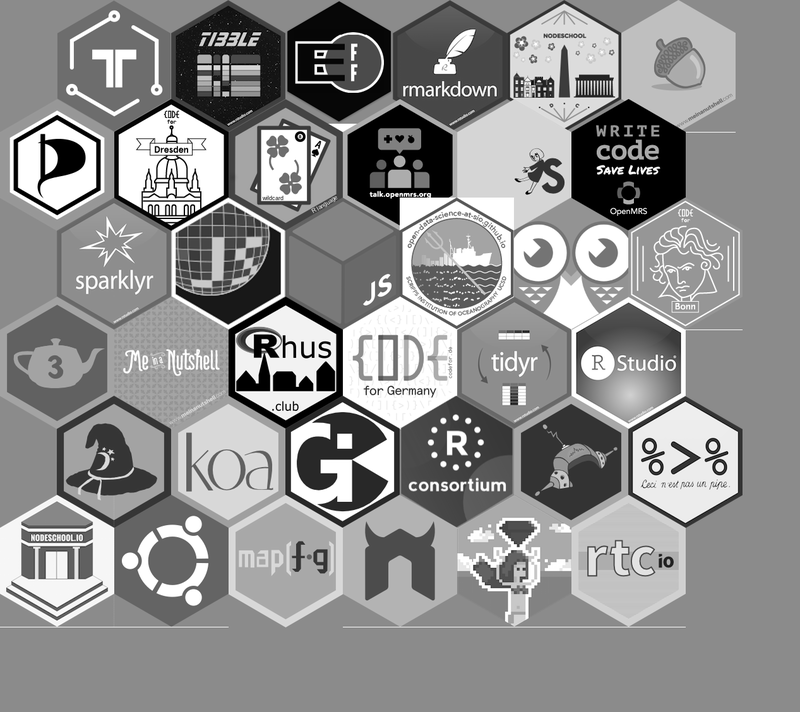 Note: When I say I got them from hex.bin, I mean I lazily downloaded the “hexagons/” folder of this GitHub repository by using a link as explained in this SO answer. I’ll sample 42 stickers from my nice little internet haul. After that I’ll create rows which is pretty straightforward. Now rows have to be combined together, not just stacked, with a small shift. This will depend on the size of pics. They seem to be the same size which is great. Note that the thing that gets displayed below is what magick::image_info gives you about any magick object, so I’ll use that. The col parameter below is my laptop background hex code. I needed it before pasting the hex stickers. This looks fine, the only reason why it’s not perfect is probably the stickers not having exactly the same dimensions. Moreover, one of them doesn’t have transparent borders! That’s a mean design. Jeroen Ooms told me I could correct it by smartly using image_fill with color = “transparent” and some fuzz and image_trim before that to remove margins but I was lazy.